Born in Santiago in 1965, he participated from 1981-2006 in the Choir of the Municipal Theater in Santiago, where he became principal bass. He studied Law at the University of Chile, and then Music at the same institution. He specialized in Choral Conducting in specific courses in Chile and abroad, with maestros Minoletti, Andrenacci, Rotzsch, López-Puccio and Pfaff, among others, and in Singing with maestros Fernando Lara and Carlos Beltrami. 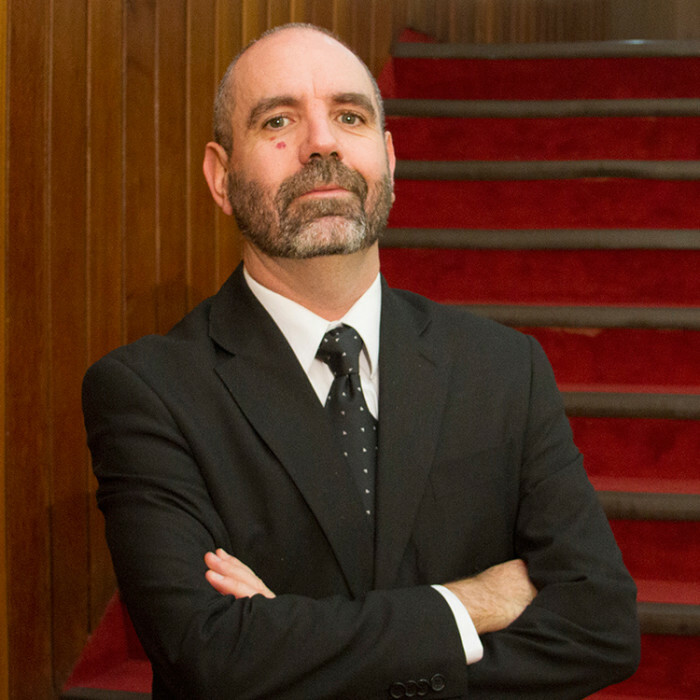 He has also sung in several choirs, such as the Solistas de Santiago Choir, Camerata Vocal of Santiago, Pange Lingua Choir and the University of Santiago Chamber Choir. He has conducted the Schola Cantorum Choir of the School of Medicine (University of Chile), the Choir of the Ministry of Public Works, the Parents’ Choir of the Colegio San Benito, and the Heraldos del Evangelio Choir. He has taught at the St. Thomas University and the “Cardinal Raúl Silva Henríquez” Catholic University. He has also been Professor of Singing at the Academia Santa Cecilia, and taught private students. In 2008 he became Director of the University of Concepción Choir, consisting of the Symphony Chorus and the Chamber Choir. He is also in charge of the choir’s artistic and administrative direction, and the vocal instruction of the choirs’ members.